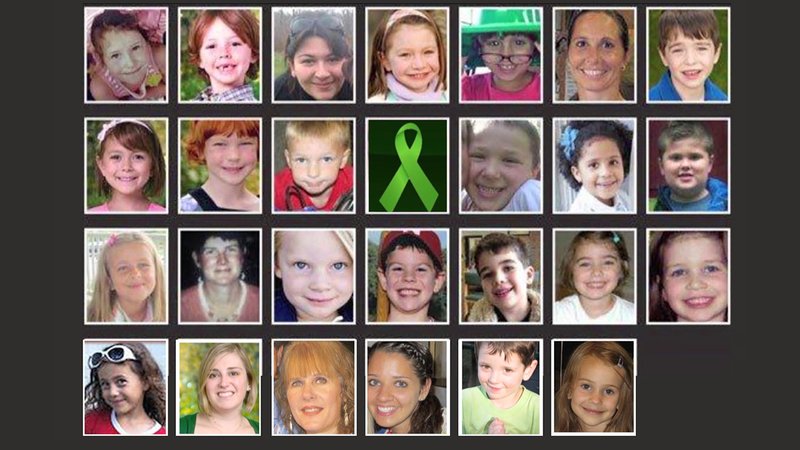 As the news of the shooting broke on December 14, 2012, I vividly recall the aerial shots of the peaceful town of Sandy Hook and the elementary school. News helicopters hovered in the air as news anchors tried to make sense of an unfathomable and unfolding tragedy. I never imagined that at the end of the day we would learn that 20 first-graders and six educators lay dead in their classrooms slaughtered by a lone gunman. The evening of that horrific day, I held my eleven-month-old daughter and three-year-old son and agonized for the mothers whose children would never be safely tucked into bed at night again. That night, while I lay paralyzed by grief, others began to mobilize. Vincent DeMarco, a powerhouse in public health policy in Maryland, was one of those individuals. Marylanders to Prevent Gun Violence (MPGV) existed in different forms since the early 1980s, but in the weeks after the deaths of the school children in Connecticut, Vinny revived the group and joined a broad-based coalition of organizations to call for significant change in our existing laws. Our current MPGV President, Jen Pauliukonis, was one of the first to join the growing coalition. Jen was traumatized by the Sandy Hook tragedy and decided that she couldn’t simply sit at home and mourn. She channeled her anger and horror into action by helping establish the Maryland Chapter of Moms Demand Action for Gun Sense in America. Millions of Americans called on Congress to stand up to the corporate gun lobby and protect our communities and children, yet even after 20 children were brutally shot to death in their classrooms, the pleas to our national leaders to change our existing laws fell on deaf ears. We weren’t going to allow that to happen in Maryland. As the country grieved, Marylanders to Prevent Gun Violence helped craft meaningful and substantive laws that had been tried and tested in other states. Then state senator and now Maryland Attorney General Brian Frosh and Governor Martin O’Malley led the effort in Maryland and the Firearm Safety Act of 2013 was passed, banning assault weapons, placing a limitation on magazine capacity, and requiring a fingerprint-based license to purchase a handgun. Meanwhile, on the federal level, leaders failed to move any meaningful legislation forward. Children died, but the cowardly leaders on Capitol Hill were too terrified of gun manufacturers and their cronies to respond to this tragedy with any substantive change for the American people. I’m proud that Maryland is a leader in the gun violence prevention movement. Yet, we can’t afford to rest on our laurels. We need only to look to Baltimore. I will be the first to confess the shooting at Sandy Hook Elementary School was the reason I became involved in gun violence prevention. The images of the children and their grieving families was heart breaking. I saw my children in the eyes of the first graders. I gradually became more entrenched in the gun violence prevention movement and I quickly learned that most victims are not school children. Over the past five years, my neighbors on the streets of Baltimore have been slain at an alarming rate. Mothers and wives have told me the trauma and chaos imposed by their children and husbands committing suicide with guns. Perhaps most concerning is the lack of attention these deaths receive. Marylanders to Prevent Gun Violence has been working to address the reality that most violence affects people who rarely make the news headlines. Five years later, Jen and I are leading Marylanders to Prevent Gun Violence together and are committed to telling all the stories of loss and death due to gun violence. If we want to end this scourge, we need to value each casualty even if that individual falls short of society’s definition of the perfect victim. Our Behind the Statistics photo and essay project aims to tell those stories. Through artwork and storytelling, we strive not only to keep the memory of the slain alive, but to remind ourselves and our communities of the long-lasting and dangerous consequences violence has on communities and families. Tonight, on the five-year anniversary of this awful tragedy, I will again hold my children tightly and think of all the mothers… those in Newton, Baltimore, Detroit, Sutherland Springs, and elsewhere whose children did not survive gunfire. My eleven-month old baby is now a first grader. She and her older brother have grown up in a world where they are accustomed to active shooter drills. When she sees a news headline about a shooting, she asks me if any children were killed. My children live in the only developed country in the world that tolerates this level of violence. We are the only country that rests the burden of violence at our children’s feet. Why must my children crouch under their desk in the dark? Is this what our forefathers intended when they drafted the Second Amendment? I think not. As we reflect on the last five years, Jen and I vow to honor the lives destroyed by gun violence through legislative action, community intervention, and awareness of those individuals so often forgotten in this conversation. It is my sincere hope that the next five years bring more action to help to keep our brothers and sisters safe from the scourge of gun violence. Liz Banach is the Executive Director of Marylanders to Prevent Gun Violence.